From yuletide events to its rich heritage, Washington, Georgia is a capital place to visit year-round. 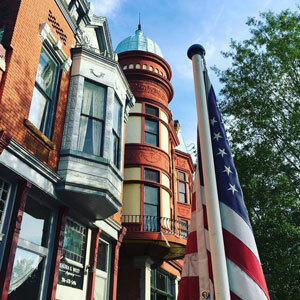 With more antebellum homes per capita than any other city in the United States, historic Washington-Wilkes is one of the best kept secrets in Georgia – and the South. There’s nothing hush-hush, however, about the fun that’s waiting to be discovered in Washington during the holiday season – and all year long. Even though an event isn’t necessary to lure visitors to Washington, the community – less than an hour’s drive away from Columbia County – offers several activities to celebrate the holiday season. 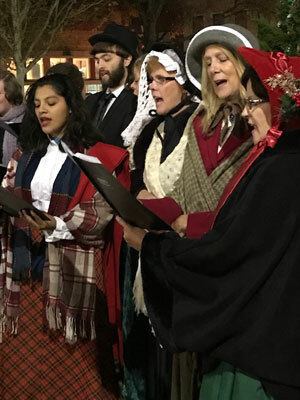 The festivities kick off Tuesday, November 20 with the downtown Candlelight Shopping & Tree Lighting Ceremony, which includes caroling and manmade snow on The Square. The fun will continue with Small Business Saturday, a nationwide initiative held the Saturday after Thanksgiving to encourage holiday shoppers to patronize small, local, brick-and-mortar stores, on November 24. “Local merchants will have lots of specials that day,” Singleton says. Downtown shops include four antique stores with merchandise ranging from knick-knacks to high-end 19th century furniture, china and art; an art gallery; clothing boutiques, a hardware store and a spa and salon. On Saturday, December 8, Washington will hold its Parade of Lights and Snow from 6 p.m. until 8 p.m. Last year the parade, which starts at Tiger Stadium at Washington Wilkes Comprehensive High School and ends at The Square downtown, had more than 100 entrants. “All of the vehicles and floats have to be lit,” says Singleton. 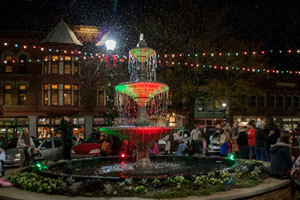 The holiday festivities also include Candlelight Shopping, Santa & Snow on Tuesday, December 18 from 5 p.m. until 7 p.m. 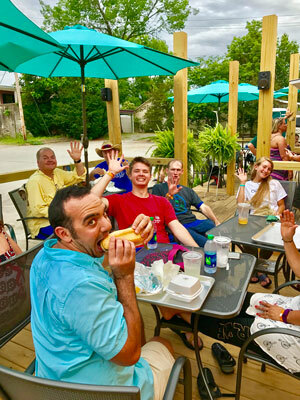 Downtown Washington merchants also have extended hours until 7 p.m. every Friday throughout the year. If shopping makes you hungry, then Washington offers a number of local restaurants in various settings to whet your appetite. The settings range from a restored 1898 hotel and a 1920s car showroom to an old livery stable and a food truck in an outdoor café atmosphere. Teeming with American history, Washington-Wilkes can claim many “firsts” and “lasts” in its past. Wilkes County was the first county in the state formed under the Georgia Constitution of 1777. Incorporating three years later, Washington was the first chartered town named for George Washington and the first town chartered under the new state of Georgia. Washington also is home to the state’s first free public library, the Mary Willis Library. The first gold stamp operation in the United States was set up by Jeremiah Griffin on Little River in 1833. Bolton’s Factory on Upton Creek was the first state-chartered cotton mill south of Connecticut, circa 1810. When the Confederacy died, Washington-Wilkes was the site of the last meeting of Jefferson Davis and his cabinet, which took place in the old Bank of Georgia building, aka Heard House. In addition, it was the last place that the infamous Confederate gold was tracked – but never found. Architectural examples in Washington range from logs cabins to Federal-style and Greek Revival antebellum homes. Washington is home to three house museums, and Singleton says, “The museums are not just full of artifacts. They’re full of stories. Washington Historical Museum has memorabilia and antiques, including the oldest wallpaper sample in the state, representing more than 200 years of history. Visitors also can tour the home of Robert Toombs, a fiery 19th-century state legislator, U.S. congressman and senator, or Callaway Plantation. Lying five miles west of Washington, Callaway Plantation features a brick Greek Revival mansion that was built with red Georgia clay and other outbuildings. Eight miles from the site of present-day Washington, visitors to Kettle Creek Battlefield Park can see where a hastily organized group of 360 patriots defeated more than 800 British loyalists in the American Revolution in 1779. “Washington is a great place to discover American history, make memories and have new experiences,” Singleton says. Published on October 20, 2018 in Georgia, Travel and tagged none by Kristy Johnson.